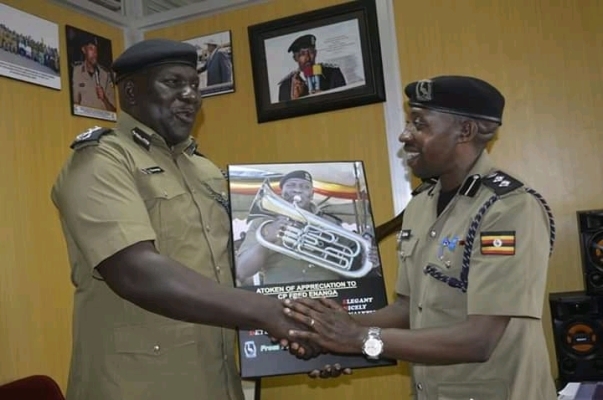 The outgoing police spokesperson SSP Emilian Kayima has on Wednesday 16th, January, 2019 handed office to the incoming Uganda Police spokesperson commissioner of police Fred Enanga. Kayima served for one year and two months since his appointment by former Inspector General of police Kale Kayihura. Kayima praised the team he headed as being committed and competent officers that worked together as a family.